There are certain things that give our lives purpose. No matter what life throws at us, these “things”—whether they’re people, places or objects—give our lives meaning. Family ranks right up there as one (if not the) most important. While community, career and passionate interests rank pretty high as well. When you’re able to combine the aspects that give your life purpose into a single goal, well, that’s the best of all worlds. 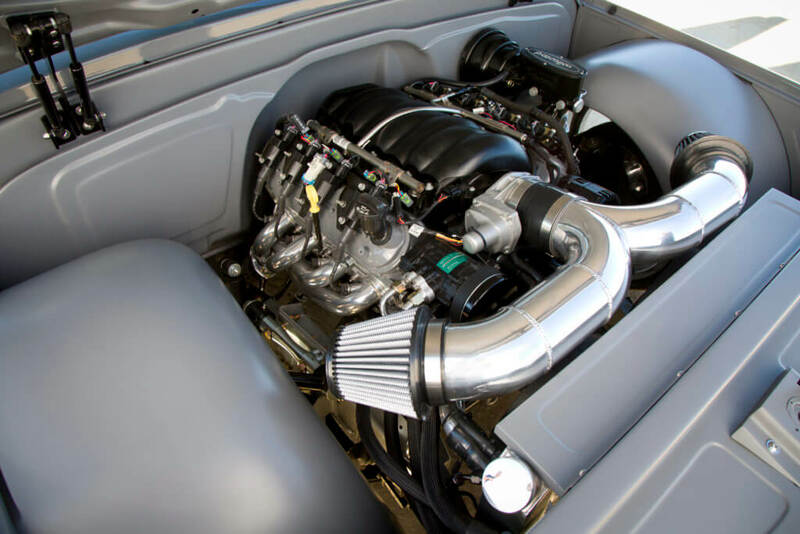 The 2015 LS3 gives Keith the power he wants and a look that brings a smile to his face every time he pops the hood. Sean Warn of Unique Car Audio not only wired up Elaine’s sound setup, but also resurrected the interior to an all-time level of glory one stitch at a time. 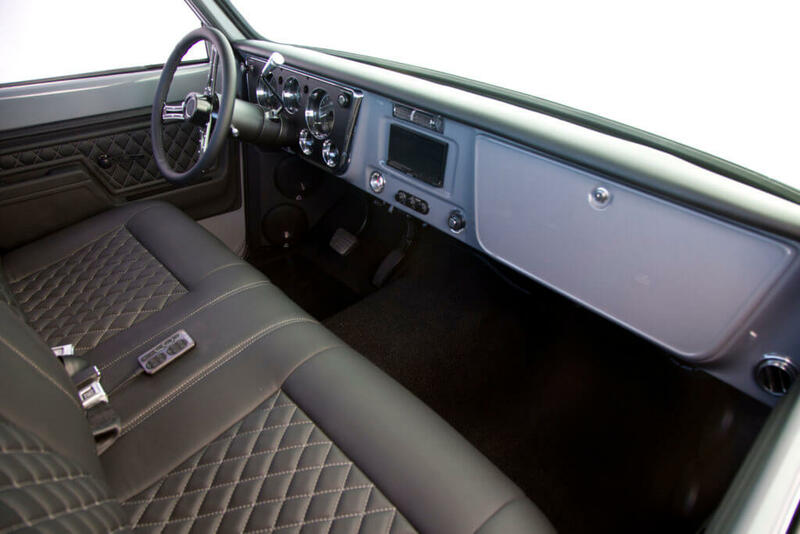 The interior space has been upgraded with steering from So-Cal Speed, Dakota Digital HDX gauges, ice-cold AC and a Kenwood head unit to control the tunes. 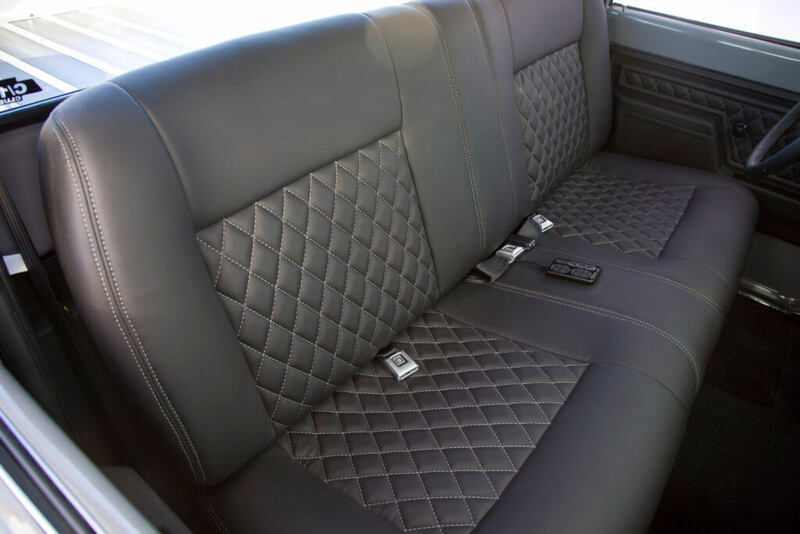 The foam on the factory bench seat was reshaped and covered in supple black leather with contrasting gray stitching. 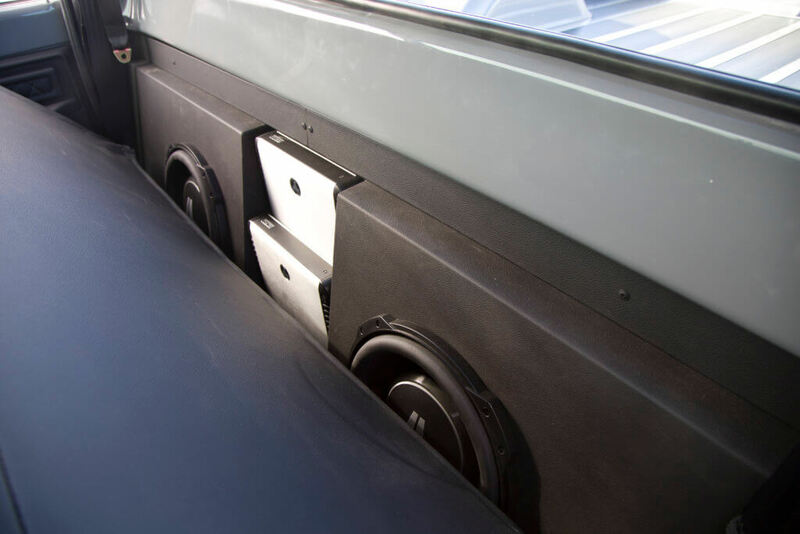 JL Audio amps and subs have been neatly tucked away behind the seat for full-bodied sound from a custom compact enclosure. On display under the bed floor is the handiwork of Nate Porter of Porterbuilt. A custom chassis and rear Dropmember kit are just two of the highlights located where most eyes don’t see. 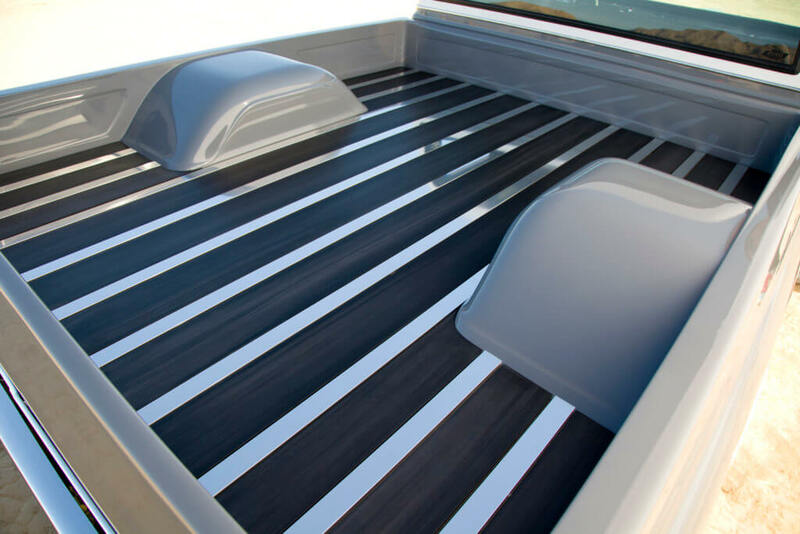 This Chevy’s bed actually has more bells and whistles than most people will notice at first glance. 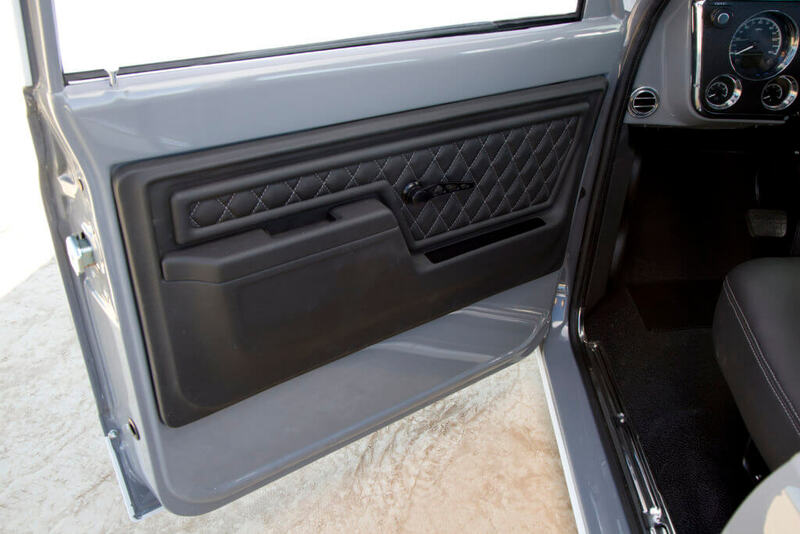 It features rounded corners, an actuated bed that adjusts up and down and a classy custom floor. Keith’s story is probably familiar to most motor-crazed guys who grew up with cars on the brain and were lucky enough to have someone to guide their fascination in a positive direction. “Interesting” may be an understatement. Actually, it is an understatement if you apply it to the truck that he owns today. 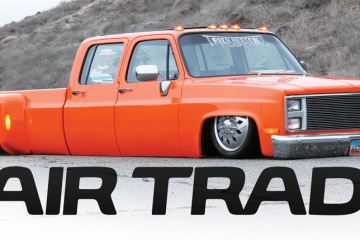 The truck has the familiar power, agility and sound of raw aggression that he was exposed to watching drag races with his dad, and it has that low-slung style that shaped his taste in custom vehicles when he was younger. “I wanted to build something nice,” Keith says. 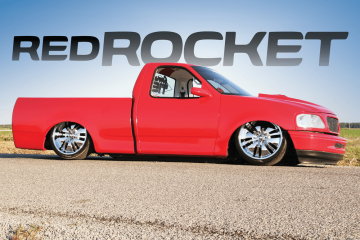 “I’ve always loved the smooth look of the 1967-72 C-10s. 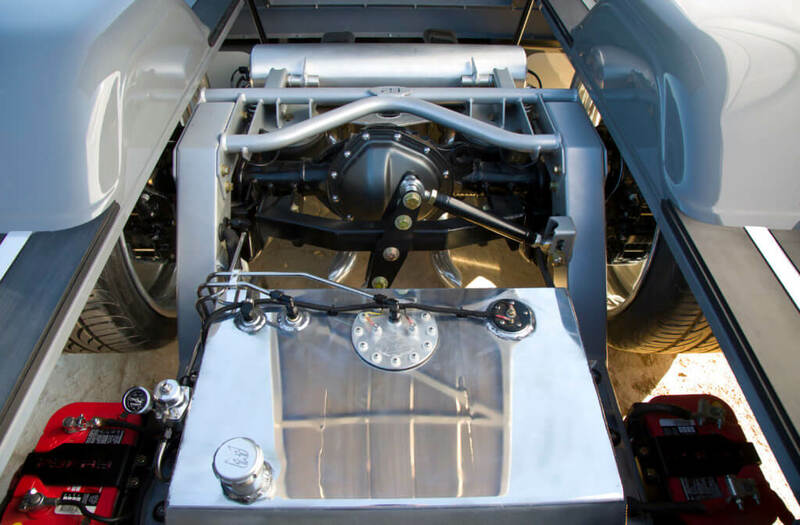 As a family, we all agreed that we wanted a timeless truck that we could keep for a long time and enjoy taking around on the local car show circuit.” Keith; his wife, Athena; and kids, Carson and Brooklyn, enjoy going to car shows together. It’s become something of a ritual for them. 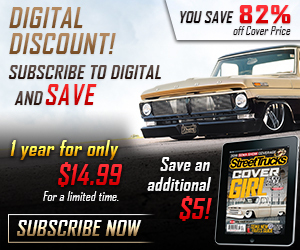 They look at all of the vehicles, not just the trucks, and have gathered ideas from street rods, muscle cars and smooth lowriders, which are apparent when giving their truck a once over. Not so long ago, the hunt was on for a second generation C-10. Luckily for the Rozelle family, Keith happened upon one that was clean and in good running condition. 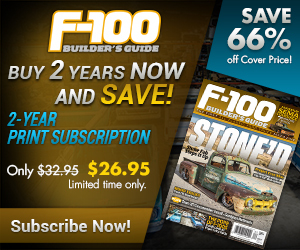 “I drove it around for a year or so, then I met Nate Porter of Porterbuilt. We were originally talking about just ’bagging it to simply put the truck on the ground. That’s all that we had discussed. That plan didn’t last too long once he started working on it.” A straightforward ’bag job is definitely not what Keith ended up with, but he’d be the first to admit to being happy about how things turned out. 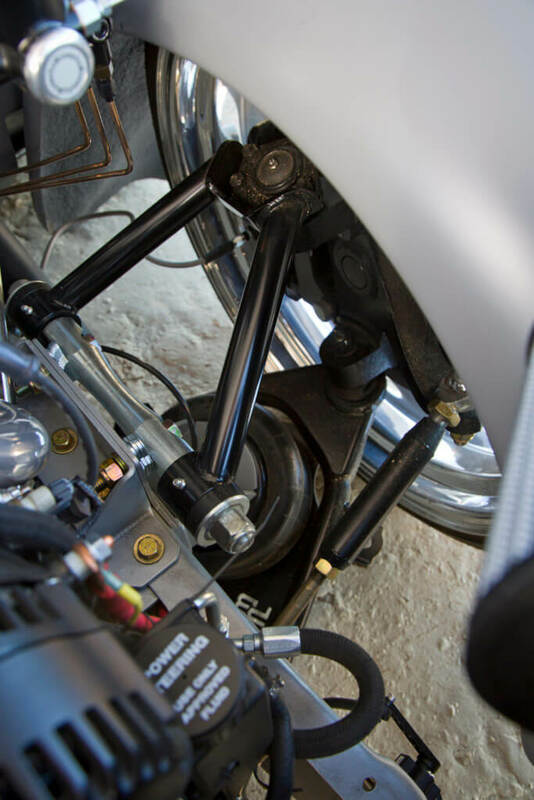 A custom chassis with front and rear Porterbuilt Dropmember systems came together complete with complementary Wilwood brake upgrades and an AccuAir-powered air management setup. 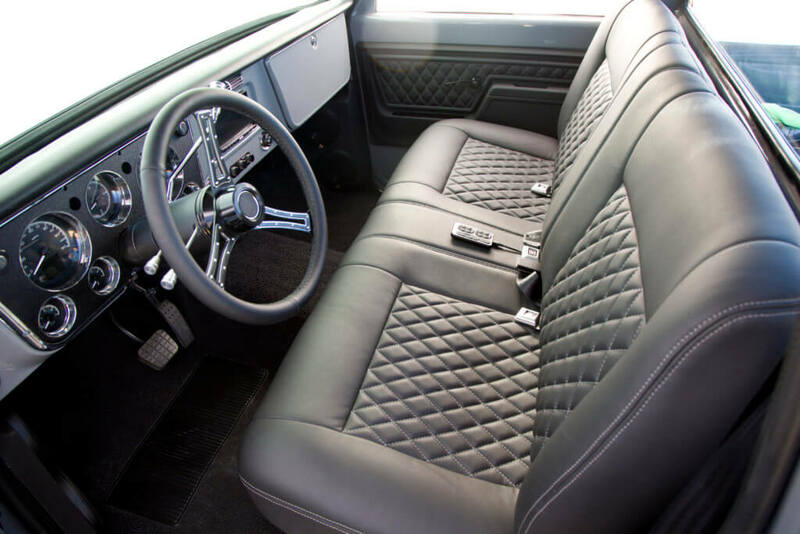 As a car guy from the start, and now a family man, the things that Keith cherishes in life have manifested in the form of one beauty of a C-10. 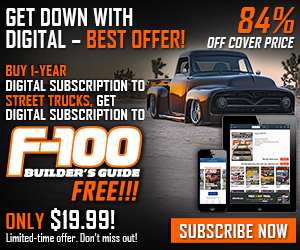 Some might not see every nut and bolt that was replaced throughout the course of the build, and some might not know the full story of the truck’s namesake, but that’s OK. He didn’t build it for anyone other than those closest to him.